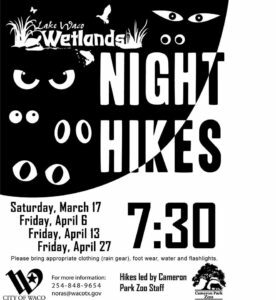 Two additional dates have been added to the night hikes at the Wetlands; Saturday April 13th and April 27th. Hikes are every Friday night in April at 7:30 pm and are led by Cameron Park Zoo staff. 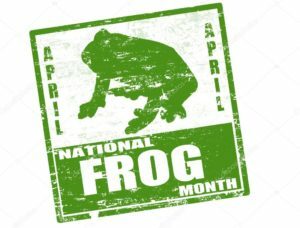 Remember to wear weather appropriate clothing, proper foot wear, water, and flashlights. This is a free event!